It's 1876 and Dr. Viveca Lancaster is frustrated by the limits placed upon female physicians of color. When she is offered the chance to set up a practice in the small all-black community of Grayson Grove, Michigan, she leaves her California home and heads east. The very determined Viveca knows all about fighting for her rights. But she may need more than determination to face down the distractingly handsome Nate Grayson, the Grove's bull-headed mayor. The child he didn't know he had...Andrew Yates has come to a decision: It's time to stop sowing those oats and start a family. But searching for a bride isn't as simple as he'd hoped, and many of the respectable women of his acquaintance feel...lacking. Then beautiful, feisty Wilhelmina "Billie" Wells arrives at the family ranch with a toddler in her arms, claiming Drew is the father! The woman he didn't know he loved...Billie had no choice but to show up at Destiny in search of Drew. For the sake of their child, she's willing to leave him with his father so the boy can have a better life, but then, before she can blink, she's saying "I do" in front of a preacher in a marriage of convenience. Rhine Fontaine is building the successful life he's always dreamed of - one that depends upon him passing for white. But for the first time in years, he wishes he could step out from behind the façade. The reason: Eddy Carmichael, the young woman he rescued in the desert. Outspoken, defiant, and beautiful, Eddy tempts Rhine in ways that could cost him everything...and the price seems worth paying. What kind of mail-order bride greets her intended with a bullet instead of a kiss? One like Regan Carmichael - an independent spirit equally at home in denims and dresses. 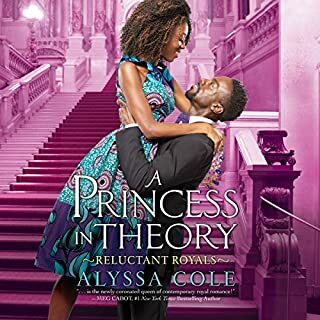 Shooting Dr. Colton Lee in the shoulder is an honest error, but soon Regan wonders if her entire plan to marry a man she's never met is a mistake. Colton, who buried his heart along with his first wife, insists he only wants someone to care for his daughter. Yet Regan is drawn to the unmistakable desire in his gaze. For three years of the War Between the States, Marlie Lynch has helped the cause in peace: with coded letters about anti-Rebel uprisings in her Carolina woods, tisanes and poultices for Union prisoners, and silent aid to fleeing slave and Freeman alike. 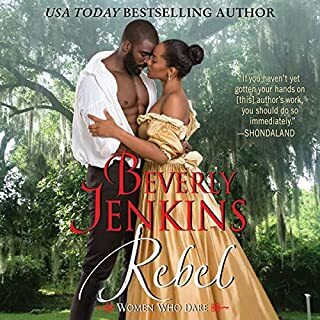 Her formerly enslaved mother's traditions and the name of a white father she never knew have protected her - until the vicious Confederate Home Guard claims Marlie's home for their new base of operations in the guerilla war against Southern resistors of the Rebel cause. Daniel is aggravated by the headstrong and much too observant new detective he's paired with, and Janeta is intrigued by the broken but honorable man she is tasked with betraying. As they embark on a mission to intercept Jefferson Davis and thwart European meddling, their dual hidden agendas are threatened by the ghosts of their pasts and a growing affection that could strengthen both the Union and their souls - or lead to their downfall. While her boss was busy wooing his betrothed, Likotsi had her own love affair after swiping right on a dating app. 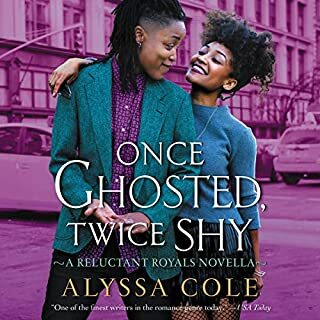 But her romance had ended in heartbreak, and now, back in NYC again, she’s determined to rediscover her joy - so, of course, she runs into the woman who broke her heart. When Likotsi and Fabiola meet again on a stalled subway train months later, Fab asks for just one cup of tea. Likotsi, hoping to know why she was unceremoniously dumped, agrees. Tea and food soon leads to them exploring the city, and their past, with Fab slowly revealing why she let Likotsi go. Regina Hobbs is nerdy by nature, businesswoman by nurture. She's finally taking her pop-culture-centered media enterprise, Girls with Glasses, to the next level, but the stress is forcing her to face a familiar supervillain: insomnia. The only thing that helps her sleep when things get this bad is the deep, soothing voice of puzzle-obsessed live streamer Gustave Nguyen. The problem? His archive has been deleted. 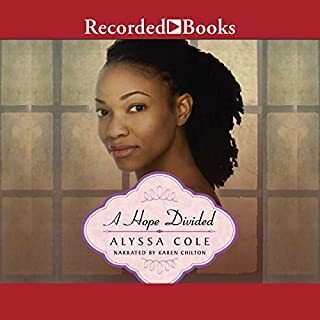 As a child, Hester Wyatt escaped slavery, but now the dark-skinned beauty is a member of Michigan's Underground Railroad, offering other runaways a chance at the freedom she has learned to love. When one of her fellow conductors brings her an injured man to hide, Hester doesn't hesitate...even after she is told about the price on his head. The man in question is known as the "Black Daniel", a vital member of the North's Underground Railroad network. But Hester finds him so rude and arrogant, she begins to question her vow to hide him. Galen Vachon is a member of one of the wealthiest free black families in New Orleans. He has turned his back on the lavish living he is accustomed to in order to provide freedom to those who are enslaved in the South. However, as he heals, he cannot turn his back on Hester Wyatt; he is determined to make this gorgeous and intelligent woman his own. 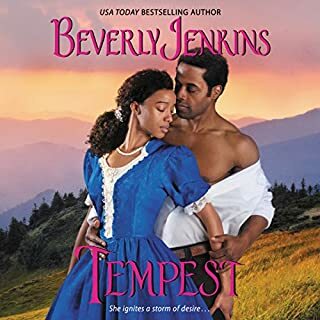 Yet there are traitors to be discovered and slave catchers to be evaded before Hester and Galen can find the freedom that only true love can bring. Yes because of the writer; no because of the narrator. I fell asleep on it several times. What other book might you compare Indigo to and why? Vivid - same author. Same narrator too. (Although, her narrations were better with Vivid). Would you be willing to try another one of Robin Eller’s performances? Was Indigo worth the listening time? Because I read the book first, yes. I don't know if the narrator was just not interested in the book or had no concept of the time period in which she was reading but I thought she was reading a textbook. I think a little prior knowledge would have made this a more pleasurable listen. Good enough to read it and ditch the narrator! Where does Indigo rank among all the audiobooks you’ve listened to so far? Its a great book with well fleshed out characters and storylines. I really am not trying to be mean but this reading is a disservice to the book. Its just awful. Flat, dull, monotone, annoying...really horrible. The text-to-speech on my Kindle was better and less distracting than this narration. I wound up just reading it with no sound. If they re-record it with a more lively narration I would purchase it. How does, Thomas Penny or the other guy sound better, for male and female voices, than a women reading a romance novel? Thanks but no thanks. This is a wonderful story. As always, full of history and romance. Please don't use Ms. Eller as a narrator anymore. 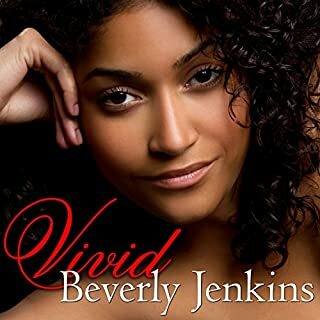 I want to return the book but I wont just to support the author and the ability of getting this specific niche on audiobooks, there is nothing out there like Ms. Jenkins writings. 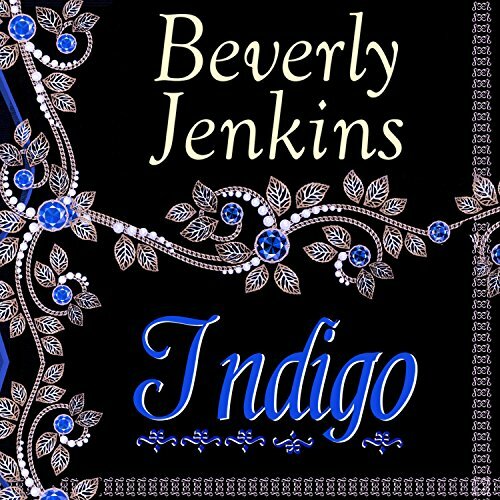 Would you consider the audio edition of Indigo to be better than the print version? What was one of the most memorable moments of Indigo? Who was the most memorable character of Indigo and why? All time fav love story! I read at least 5x and love the story more each time! It's a love story like none other. Its historical romance at its finest. Of all the books I've read Indigo is at the TOP of my lists. 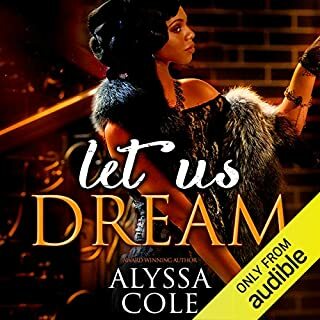 It's by far one of the best books I've ever read so when I saw that it now available in audio format I immediately purchased it. Hester and Galen's fight against slavery is one to be admired. The characters are very well developed and the feelings that blossom between the two are truly lifelong. Ms. Jenkins has a way of teaching you about history within the story and you never walk away after reading her books the way you started. She's still no. 1 in my book. And after having said all that I will say this...I hate this narrator! Lord why??? I almost cried when I heard her interpretation of Galen's voice. Her attempt of a french accent did not make it's mark. The rest of the voices were ok but her french accent has got to stop. (I feel awful for this by the way, I wanted it to be good SOOOOOOO bad). Not a particular fan of romance novels, I read this for a book club. While the story was uninteresting it did make me look up additional info on a number of subjects such as the Dred Scott decision and the Underground Railroad. I learned a lot from my searches, so the book was good for that. However, this was the worst narrator I've ever heard. She mispronounced many words, paused in sentences where there was no reason to, thereby ruining the meaning many times. Her use of a French accent was unneeded and horrible. Several times in the middle,of a sentence, she would forget the accent and speak without it. This was very distracting! If I see another book narrated by Robin Eller I will avoid it like the plague! I absolutely loved this book. Hester and Galen are both so complex and yet personable. What an amazing read/ listen! I’ve read this story multiple times and never get tired of reading it. I decided to get the audio version but the narrator is horrible. She tries to do a French accent but you can’t understand what’s she’s saying. The only reason I understood is because I’ve read the story so many times. At times I had to rewind a bit though which isn’t good when you’re listening to a book. The story is indeed a beautiful one and I listened to the whole thing but I will be sure to stay away from this narrator. Happy Reading!